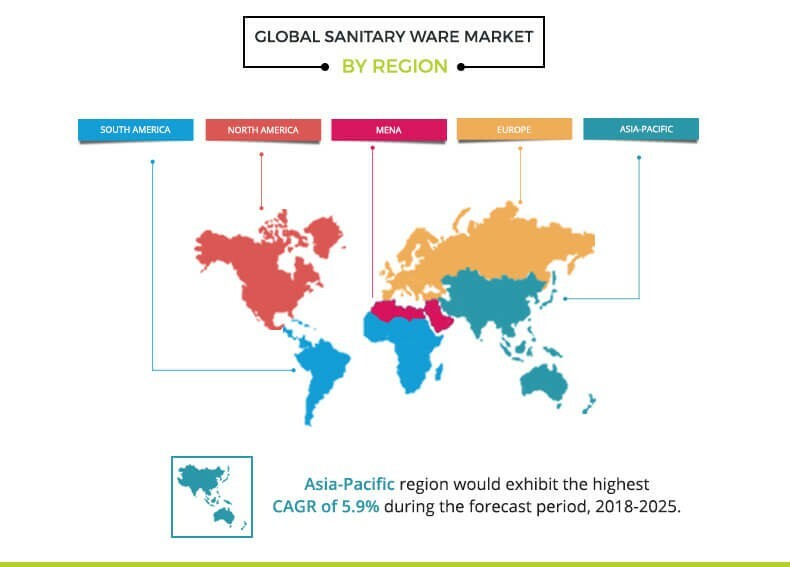 The global sanitary ware market was valued at $9,194 million in 2017 and is projected to reach $13,616 million by 2025, registering a CAGR of 5.0% from 2018 to 2025. Sanitary ware comprises toilet sinks, wash basins, cisterns, and pedestals. These products were traditionally manufactured using porcelain, which is a ceramic material. However, sanitary wares are now being manufactured using metals, glass, plastics, and other materials. Ceramic sanitary wares are cost-effective, have excellent resistance to chemical attacks, and can withstand heavy loads. 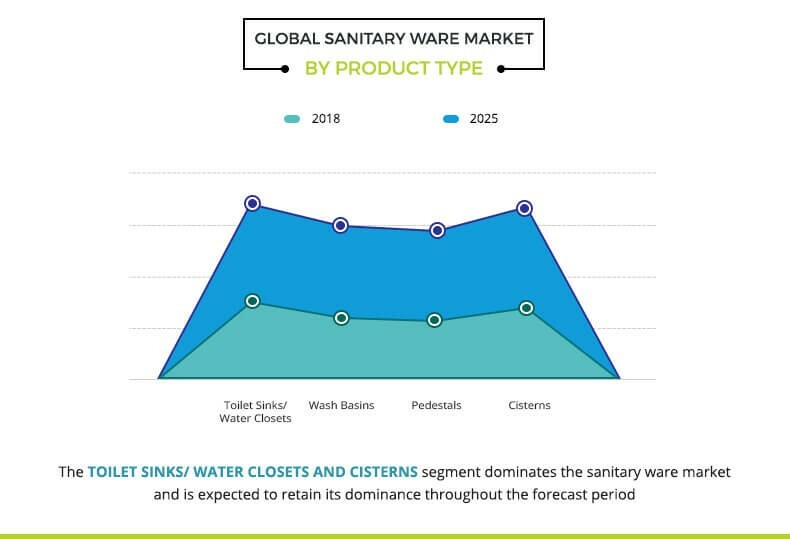 Factors, such as rise in construction activities in developing countries, increase in concerns related to health & hygiene, and availability of abundant raw materials, propel the growth of the sanitary ware market. 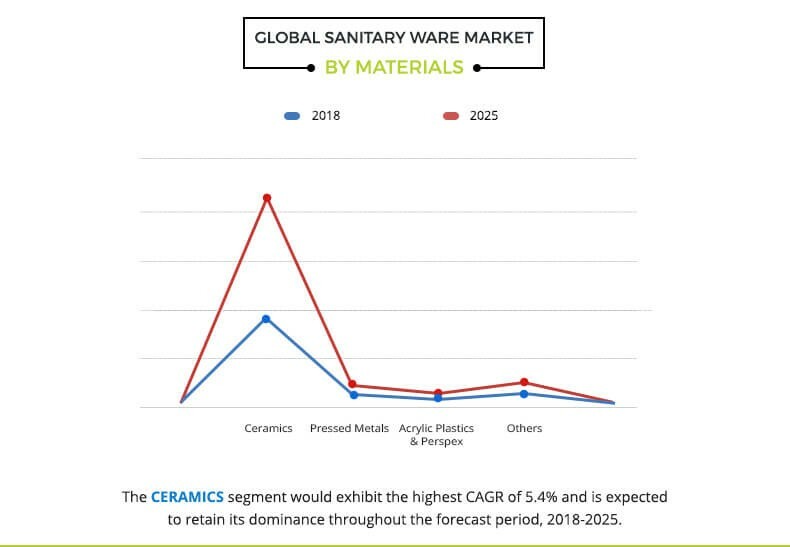 In addition, factors, such as a healthy lifestyle, disposable income of consumers, surge in urbanization, growth in shift from unbranded products to branded products, and strong replacement demand, have supplemented the growth of the global sanitary ware market. However, stringent government regulations are anticipated to hamper the sanitary ware market during the forecast period. Supportive government initiatives, such as Pradhan Mantri Awas Yojana (PMAY) and Swachh Bharat Mission for infrastructure development, both in urban and rural areas are expected to offer future growth opportunities in developing countries, such as India, to the sanitary ware market players. The global sanitary ware market is segmented based on product type, material, and region. Based on product type, the market is segmented into toilet sink/water closet, wash basin, pedestal, and cistern. On the basis of material, the market is segmented into ceramic, pressed metal, acrylic plastic & Perspex, and others. By region, the global sanitary ware market is analyzed across North America, Europe, Asia-Pacific, MENA, and South America. The Asia-Pacific region has significantly contributed to the growth of the global sanitary ware market in 2017. Upsurge in demand for sanitary ware products, such as toilet sink/water closet and wash basin, coupled with the growth in the real estate sector is the key factor driving the demand for sanitary ware. 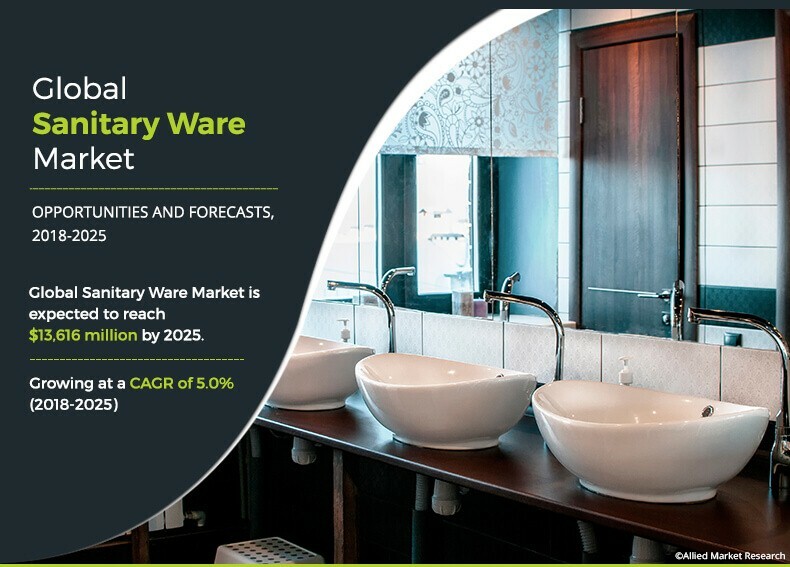 In addition, rise in disposable incomes, increase in construction activities, surge in concerns over personal hygiene, and growth in the hospitality industry have been fueling the Asia-Pacific sanitary ware market. The toilet sink/water closet and cistern segments dominate the global sanitary ware market and are expected to retain their dominance throughout the forecast period. Rising hygiene awareness in developing and developed countries has been contributing to the growth of this segment. Growing disposable incomes in developing countries have led to surge in demand for more premium sanitary ware products for additional convenience. Apart from this, environmental concerns, such as water scarcity and others, have encouraged manufacturers of sanitary ware to design new types of toilet sinks/water closets and cisterns to minimize wastage of water. The demand for ceramic sanitary wares is expected to grow substantially because of rise in investments in commercial spaces and core projects, such as airports, hospitals, hotels, and construction projects. The formability and pourability of the ceramic material allow the creation of several sanitary ware products. Owing to its versatility and pleasant appearance, ceramic is the most popular material that is used to manufacture high-quality sanitary fittings. The key players operating in the global sanitary ware market are CERA Sanitaryware Limited, Corona, Geberit AG, HSIL Limited, Jaquar Group, Kohler Co., LIXIL Group Corporation, LAUFEN Bathrooms AG, Lecico Egypt, and Roca Sanitario, S.A. This report provides a quantitative analysis of the current trends, estimations, and dynamics of the global sanitary ware market for the period of 2018&dash;2025 to identify the prevailing market opportunities. Porter’s five forces analysis highlights the potency of buyers and suppliers to enable stakeholders to make profit-oriented business decisions and strengthen their supplierbuyer network. A comprehensive analysis of factors that drive and restrict the growth of the sanitary ware market is provided. An in-depth analysis of the sanitary ware market segmentation assists in determining the prevailing market opportunities. 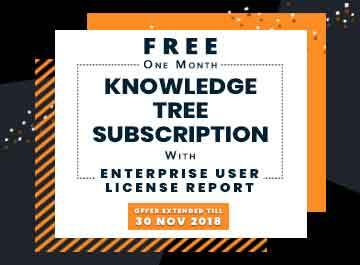 The report includes a detailed analysis of the regional and global markets, key players, market segments, application areas, and growth strategies. The global sanitary ware market has been growing at a considerable pace, owing to upsurge in construction activities in developing countries and availability of abundant raw materials. Apart from this, rise in concerns related to health and hygiene coupled with supportive government initiatives for infrastructure development both in urban and rural areas is expected to offer future growth opportunities to the market players. The market is divided into organized and unorganized players. The organized players have a strong hold in the market, and hence, they pose a strong entry barrier for the new entrants in the market. The brand creation in this market takes more than five to ten years. Creation of a strong and widespread distribution network is a constant and long-drawn process. It takes many years to create such a network, and thus, this network creation is a strong entry barrier. In addition, the investment cost is very high in the sanitary ware market. The players in the organized sector benefit because of their strong brand image and the existing distribution network in the sanitary ware market. The demand drivers in the global sanitary ware market include increase in disposable income of consumers, surge in urbanization, growth in shift from unbranded products to branded products, and strong replacement demand. However, stringent government regulations are anticipated to hamper the growth of the sanitary ware market during the forecast period.